Physical signs a search dog exhibits when detecting a specific or general human scent. Wilderness search dog handlers must always be alert to their surroundings, their dog and all alert data. Incident alerts provide the latest news and a distress alert means imminent danger. Dog's Raven receives all their alert data via a custom made ear piece. With a micro receiver, Mikella can control the volume of incoming audio, ensuring that surrounding sounds are audible. 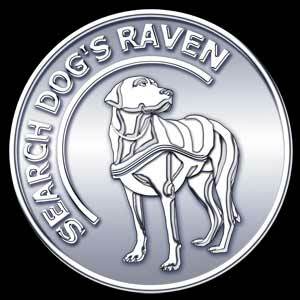 SEARCH DOG'S RAVEN is now in post production. Please visit often. THE HOLLYWOOD REPORTER: (Hollywood's Premiere Trade Publication for the Film Industry) mentioned the film 'Search Dog's Raven', the cast, Writer Director Allex Michael, production dates, locations and the Producer 'Candle Films'. INTERNET MOVIE DATABASE (IMDB.COM) Earth's Biggest Movie Database currently mentions the film 'Search Dog's Raven', the synopsis, tag lines, plot summary, production status, locations, US funding, the cast including EBBEY the canine actor and Writer Director Allex Michael. VARIETY: (Hollywood's Premiere Entertainment Publication) mentioned Filmmaker Allex Michael and her upcoming film Search Dog's Raven in their weekly print magazine and for several months in their internet edition. PLAYBACK MAGAZINE: (About Production, Broadcasting and Interactive Media in Canada) mentioned the film 'Search Dog's Raven', production dates, locations and 'Candle Films' in their weekly trade issue and for several months on their Internet 'In Production List'.